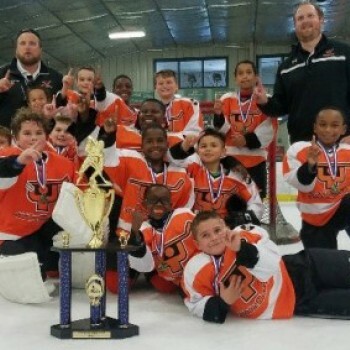 The Snider Hockey SPARKS Program is an innovative curriculum designed to introduce our beginner students to ice hockey while also instilling valuable life lessons. These lessons include taking personal ownership and pride of taking care of equipment, demonstrating hard work and persistence in learning how to skate, and learning respect and sportsmanship. At this basic level, we can use these concepts in hockey to begin getting our young students to start thinking about how these skills would be beneficial to their life off the ice. Our coaching philosophy is centered around "lighting the fuse" and hopefully sparking a passion for hockey! Click here to learn more about SPARKS. Learn to Play is designed to build upon our SPARKS curriculum by continuing with on-ice skill progression while providing students with structured academic support and life skills activities to further their overall development. Click here to learn more about LTP. After completing our SPARKS and Learn to Play Programs, students will progress to the Snider Hockey League (SHL) where they'll continue to further develop their on-ice skills while participating in competitive games for the first time. Click here to learn more about the SHL. In addition to the After School Excellence Program, Snider Hockey also offers these programs periodically throughout the year. 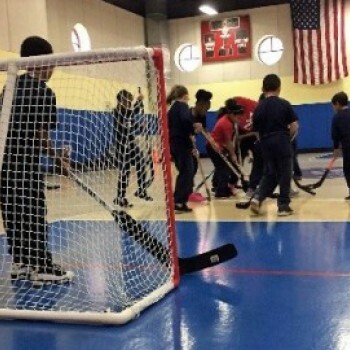 Snider Hockey has partnered with a number of Philadelphia-area schools to offer its School Day Program to students as part of their physical education curricula. Snider Hockey will either have students learn floor hockey or have students come to the rink to receive instruction. At the conclusion of the school day program, students are offered the opportunity to continue playing hockey by joining Snider Hockey's After School Excellence Programs at their local rink. In addition to the co-ed Delaware Valley Hockey League, Snider Hockey has girls-only travel teams. For the 2018-19 season, Snider Hockey girls' travel teams include 10-U, 12-U, 14-U, 17-U, and 19-U. Three of our teams participate in the Mid Atlantic Women’s Hockey Association (MAWHA) and play 20-25 games per season. The Snider Hockey 10-U and 17-U independent girls' travel teams play 10-15 games per season. All Snider Hockey girls teams compete in one tournament per year. Girls who play on Snider Hockey girls' travel teams have all developed their skills in Snider Hockey After School Excellence Program. Snider Hockey fields multiple travel hockey teams that compete in the DVHL each season from September to March. Age groups include: Squirt, Peewee, Bantam, Midget U-16, and Midget U-18. Each team travels locally and participates in approximately 20 games per season, in addition to various tournaments. DVHL teams are comprised of players that have developed their skills in the After School Excellence Program. Snider Hockey holds multiple summer camps each year. These camps are intended to be a reward for regular participation in the year-round After School Excellence Program. 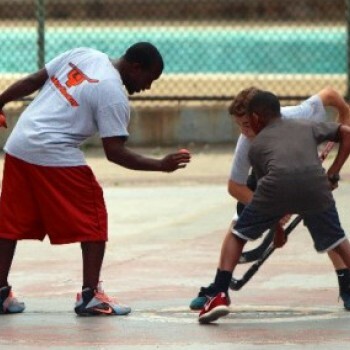 Camps are typically one week long, and operate from 9 AM - 4:30 PM. In addition to playing ice hockey, campers participate in dryland training exercises, academic activities, outdoor games, off-ice hockey drills and life skills education sessions.